Enlarge / Martian Marine Bobbie Draper and her team get ready for action. Amazon will become the home of The Expanse‘s fourth season, after cable network Syfy announced that it would not air any episodes after the conclusion of season three. The third season will continue airing on Syfy, but the series will become an Amazon Original in the United States for season four. Last week, news hit that Bezos was a big fan of the series and that he was seeking a deal to save it. However, it was not a done deal at that time. 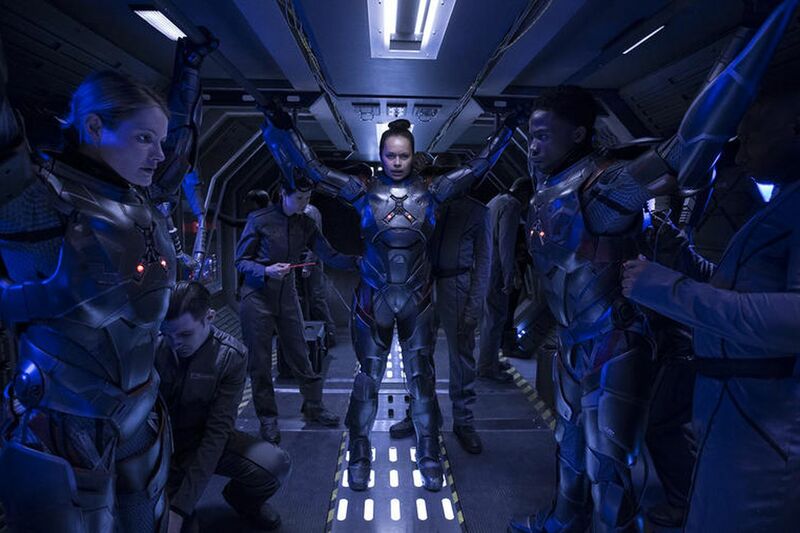 The Expanse is produced fully by a company called Alcon Entertainment, but the show’s continued production was dependent on Syfy’s deal to air the show on cable. However, for myriad reasons, Syfy is locked in a strategy focused on traditional OTA (over-the-air) viewing—a mismatch with the genre’s audience. The cable station also did not have the OTT rights to stream The Expanse on digital platforms. Amazon streamed the program in the United States some time after air, whereas Netflix streamed the program in some other regions. The show delivered very poor ratings on broadcast—a depressing 400,000 linear viewers in the 18-49 demo—so Syfy elected not to air a fourth season. Alcon and the cast of the show launched a campaign on social media and elsewhere to convince a streaming platform to save the show. Most of that effort was focused specifically on Amazon. For example, money was raised to fly a banner promoting the show over an Amazon office in the Los Angeles area. I was talking to the cast half an hour ago, before the break for dinner started… I was telling them that we are working hard at Amazon to save The Expanse but it wasn’t a done deal yet. During dinner, 10 minutes ago, I just got word that The Expanse is saved. We couldn’t be more excited that The Expanse is going to continue on Amazon Prime! We are deeply grateful that Jeff Bezos, Jen Salke, and their team at Amazon have shown such faith in our show. We also want to thank Laura Lancaster, head of Alcon Television for her tireless efforts. We are fully aware that this wouldn’t have been possible if it wasn’t for the staggering outpouring of support from the most creative, hardest working sci-fi fans around the world. From reddit campaigns to airplanes, we say thank you. It worked! According to Deadline, talks for Amazon to secure the rights took some time in part because of the complexities of international OTT rights; Netflix still retains streaming rights outside the United States. It’s unclear at this time how that will play out, but we can at least be sure that The Expanse will become an Amazon Original series on Prime video in the United States, beginning with the fourth season. No announcements have been made about the timing of the new season or what, if any, changes are expected when the show moves to Amazon. The third season is still currently airing (and is expected to air to completion) on Syfy.